Two of the guns in particular... one was my father's and one was a gun he reworked for me (I was quite the scrawny little type) when I was 10. They don't get much action as they are more "Gun Safe Queens". It's much too late for me to get away from oil. Oil changes, gun oils, grease, transmission fluid, etc. I've had it all on my hands and I've injected god knows how much of it without realizing. Mercon LV goes great on hotdogs btw. Refill your ketchup bottle with it next time you run out. I received a package last night containing a chrome M16 bcg, a little ergo grip gapper, a2 crush washer, and a tapco wrench. Nothing special about the gapper or washer, so I didn't bother taking pictures of those. The BCG comes completely assembled with all the necessary parts. 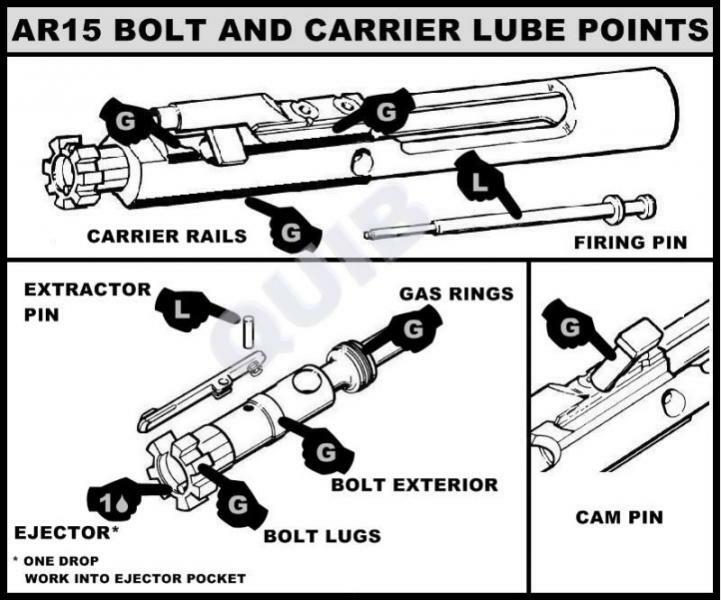 Bolt (fully assembled), carrier, gas key (staked), firing pin, firing pin retainer pin, cam pin, etc. 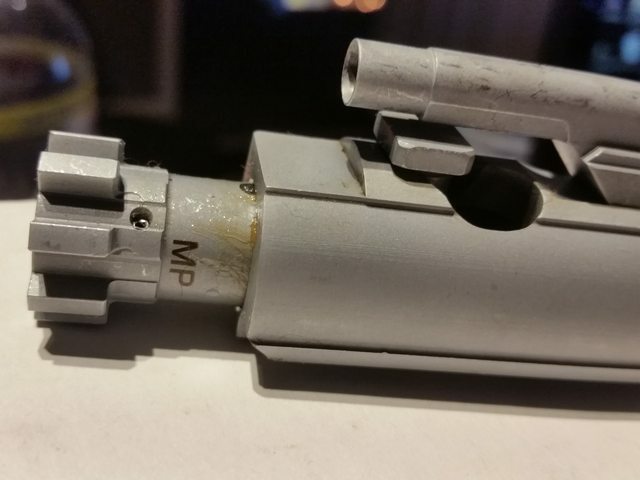 First thing I noticed is the letters "MP" on the bolt. I suspect with a fair amount of certainty that this stands for Magnetic Particle inspected, which I very much appreciate. For the uninitiated, this is a process were a 'proof' cartridge (loaded higher than SAAMI spec) is fired, then the parts being tested are disassembled and are magnetic particle inspected, looking for any cracks or the like that would indicate that damage has been done. If no damage is present, it is marked and sent out to be sold. It came wrapped in a few turns of packing foam only, with a sticker holding it shut. I would have preferred a small box in addition to this, but I guess if it can handle a proof round and all the thrashing around in an upper during firing, it can handle a little jostling in a box with other things. If you're wondering what that gunk is on the bolt, that is high temp disk brake grease. It came completely dry and very stiff. The camming action of the bolt inside the carrier was doable, but you could tell it didn't really want to move as easily as it should have. So I disassembled it, slathered the appropriate parts in grease and installed it into my Windham Weaponry AR-15 to give it a little bit of a workout to ensure it was good to go. I cycled it by hand several times (never letting it slam home on an empty chamber, through) and within just a couple of minutes, the camming action improved dramatically. Prior, the buffer spring was not able to rotate the locking lugs and move the carrier fully into battery by pressure alone, requiring the forward assist to be used. After letting it work around, locking and unlocking, spring pressure alone was finally able to do the job alone, as it should. I wiped off the grease from the outside of the carrier but left the bolt and cam pin lubricated. It will be re-lubricated with the same grease when it is installed into Project Vietnam. One slight oddity I noticed is that the firing pin cotter pin does not want to seat completely without some help. Normally this just slides in with no fuss, but this does not. A small tool (like a bobby pin or tools for lock picking, or a small knife even) must be inserted between the carrier and firing pin to push the pin upwards to enter the hole. Stop laughing. I squeezed the end of the pin with pliers to close the gap a bit more, but that didn't solve the issue. I suspect either the hole in which it goes through is not chamfered or countersinked. 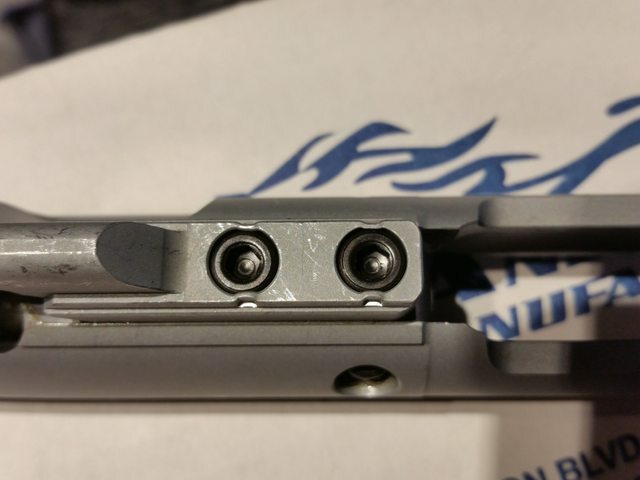 I tried using the cam pin from my Windham Weaponry BCG but found the same issue, so the cotter pin isn't out of spec. I suspect this is because the carrier is basically brand new at this point with only a few minutes of wear and only one round through it. 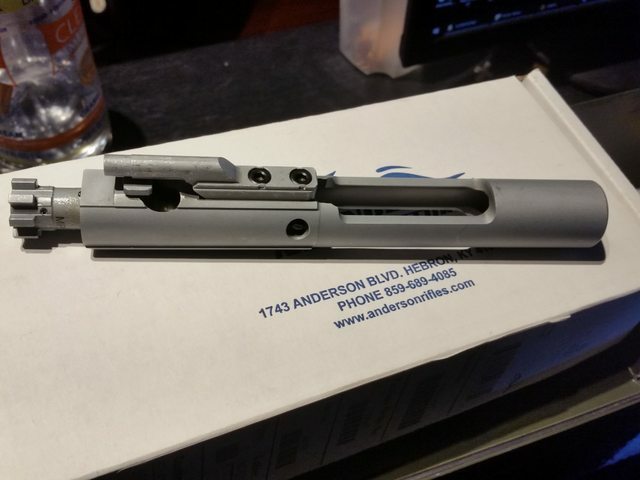 Not a big deal, but a little vexing when you're used to slapping a bolt carrier assembly together with no tools at all. Of course I tried my tapco wrench out, and so far I'm pleased. The only thing I don't like is the color, but that isn't a big deal. The embossed letters could be a little deeper or filled with color to make them a little easier to read, but I can take care of that if I get bored. With the gas tube in the way, I couldn't orientate the wrench with the top of the nut like usual, but since it's the same all the way around, I just rotated the wrench and interfaced it with the bottom of the nut instead and found very little if any play was present. The tool feels hefty and made of good quality steel, but only truly using it will actually tell me anything. After all, a brass breaker bar can feel great, but you'll only realize that it will fold in half after you've already folded it. Ohhh, you're too young to have the outlook of, "i've already done the damage, so i'm not going to do anything about it now"
Seriously, try not to die in your 40's - a friend of mine had a mechanic with the same outlook, yup, dead. Yeah, you're probably right. Well, if I kill over in my 40s, I'll have done with grease in one hand, a pistol in the other, and a smile on my face. Don't worry, I don't actually have that outlook. I just enjoy dark humor. About the carrier, I did follow those charts at one point. However, my Windham Weaponry carrier has the same amount of grease in it and it slides around in that upper like a polished doorknob covered in greased owl sh** sliding across an oiled ice skating ring. Truth be told, I don't mind the extra stiffness. I'd rather it's parts be a little tight than it rattle when I shake it. You might want to use a synth grease too (not petroleum based) it works far better than albeit cheap and available bearing grease. I guess I can add to this thread. I love any weapon that goes bang. I started out loving hand guns until I decided to buy an AR. From there, I pieced another AR together. Then I went on to a bolt action that I'm in love with, followed by a second. Somewhere in the mix I also bought two 12 gauges. 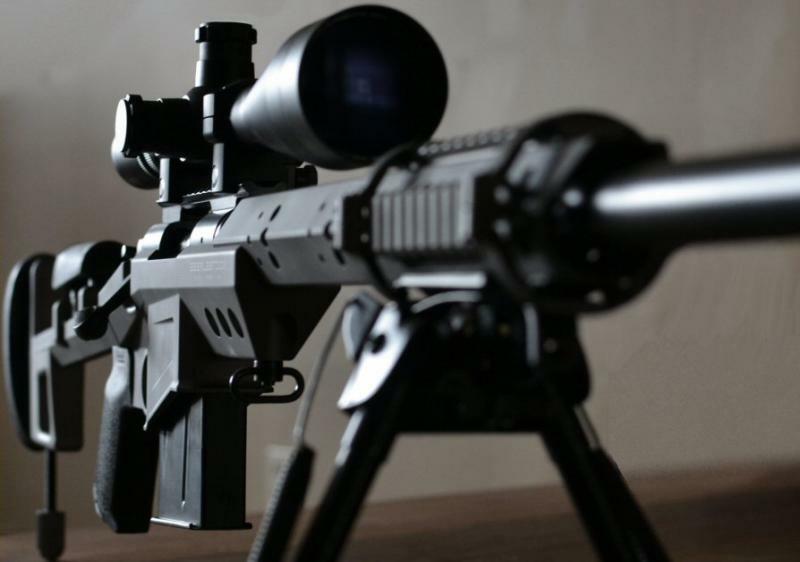 Like others have mentioned, I'd love to build a nice Remington 700 that I can hit 1000 yards with. Currently my 783 (.30-06) is good to 500 when I try. 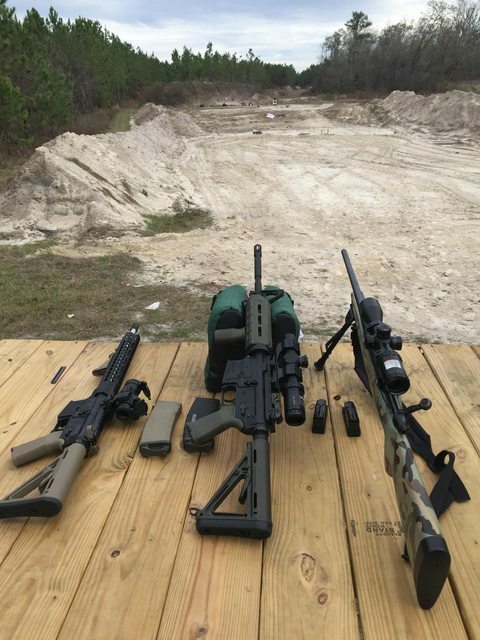 My local range wont get me any further. Also, so far I only use factory loads. 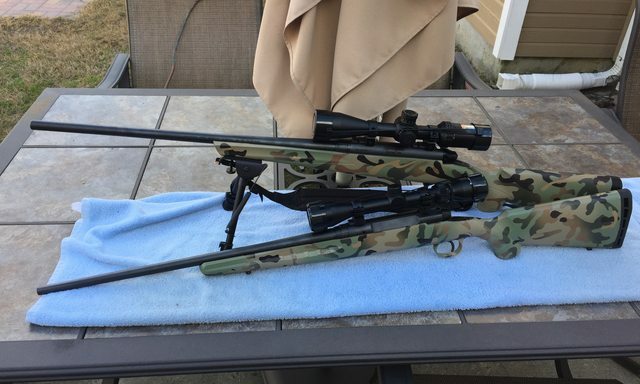 Here's my ARs and the 783. Painted the 783 myself, multicam came out pretty decent and is holding up well. Up front is a Savage Axis in .223. I got it cause it was a steal and cheap to shoot. I've only shot about 5 rounds through it though, I need to zero the scope and the range I was on was pretty busy. I didn't want to keep stopping everyone so I could check my zero. 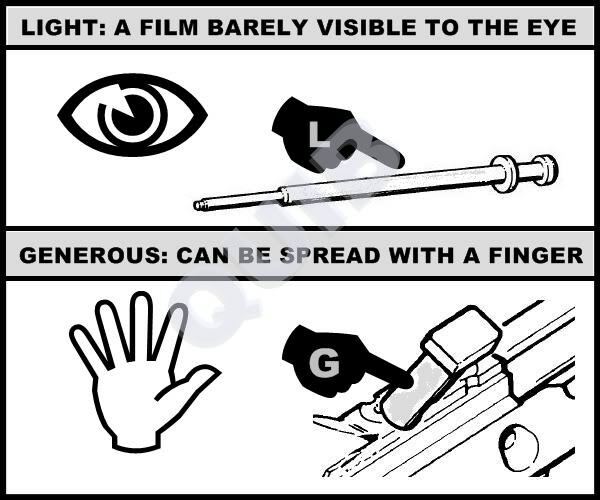 Thanks, I watched a few youtube vids before trying to ruin it myself. I'm not a hunter, so I take it to the range, shoot it and throw it back in the case until I get home to clean it. They don't see much harsh use. I've heard a lot of folks bagging on the 783 but for the price I'm happy with it. The scope it came with sucked but that's an easy upgrade, though more costly than the rifle. .30-06 isn't cheap to shoot either at about $1 a round. I couldn't imagine shooting an old M1 in semi auto with .30-06. Hard on the shoulder and on the wallet! 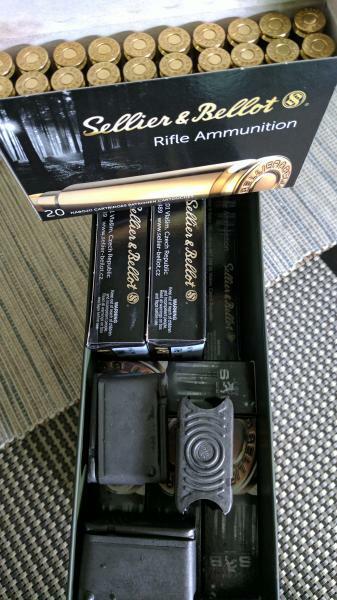 You can get 30.06 cheaper than that, also bulk does help a lot - watch for midway deals (got a 200 rnd case) and get Herters stuff from Cabellas, again, use the sales and shipping deals etc. And the stock collapses/folds even too ! I've got 3 more Glock 19's to fab up for different needs and at least one of my other AR 15 lowers to do and I'll likely do my AR 10 next if I can get the JIG parts all at the same time. Never seem to have the kit complete to get all at once for that build for some reason. MaDMaXX wrote: You can get 30.06 cheaper than that, also bulk does help a lot - watch for midway deals (got a 200 rnd case) and get Herters stuff from Cabellas, again, use the sales and shipping deals etc. I do check sales and usually my 5.56 I get in bulk. No more than I shoot the .30-06, I haven't bought in bulk yet. I'll probably look into it next though. I wouldn't shy away from the "M1 Garand" ammo for 30.06 either, (the new stuff) it just means it conforms fully to the pressures. I bought two 200rnd cases of 30.06 this year, oddly, both from Midway - the below was 70c/rnd as well as the regular Winchester rounds. S&B seems to be good stuff as well. I like a medium weight bullet which is hard for me to find here. I can find 180 and 150 grain all day long, but 165 seems to be a happy medium from 100-400 yards. I think at 500 yards I was shooting the 180g. $.70 is pretty good! 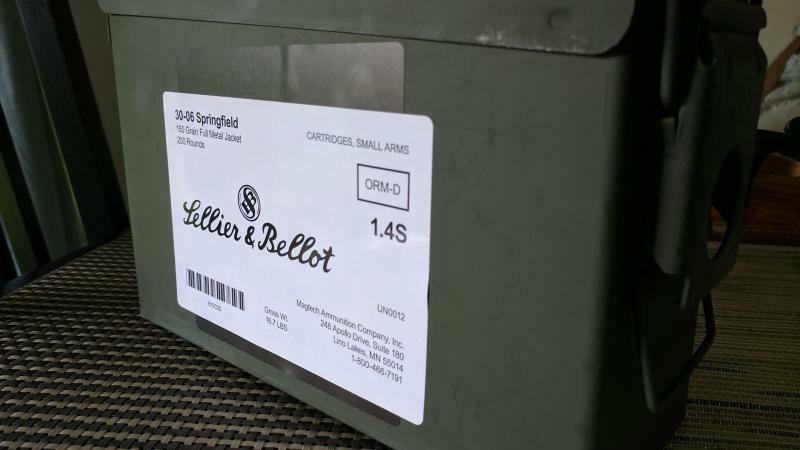 Bad part is, when I find ammo that cheap, the shipping makes it about the normal price. When I buy 1000rd 5.56, I get it when it's listed with free shipping. Yup same here, i stayed away from the mail order ammo until i started seeing free shipping or shipping so cheap that even including it, the price per round was still a deal! For nominal amounts, Cabella's is pretty good, just make up $100 worth and you're nearly always in a free $99 free shipping period. I have a lot of Herters (Cab's own brand) 30.06 (~$16/box) and PPU .303 Brit from there. 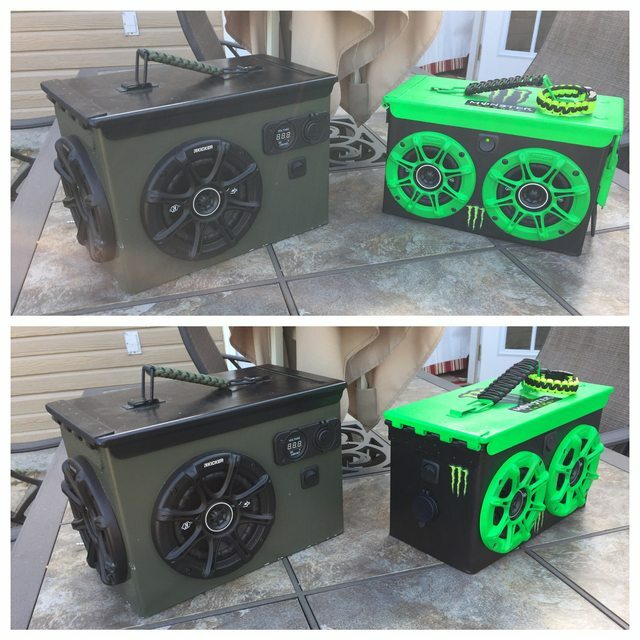 While I'm thinking about it, I've taken a few ammo cans and made them into speaker boxes. I found a company that makes them and charges from $300 and up for them, so I tried to make my own and the first one came out good. 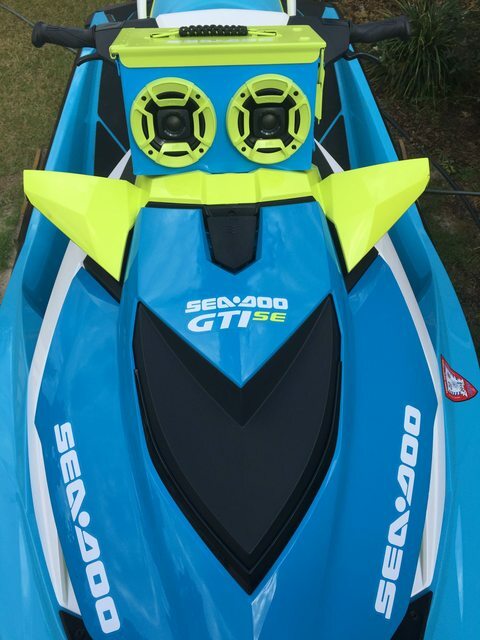 and lastly I made one to match my jet ski. 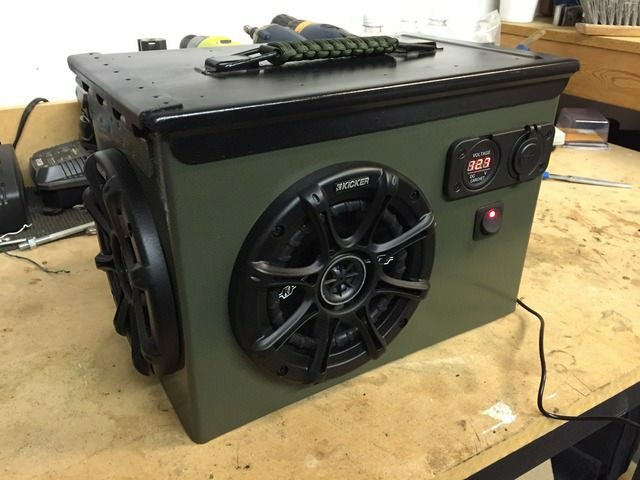 It has marine speakers and no external switches. 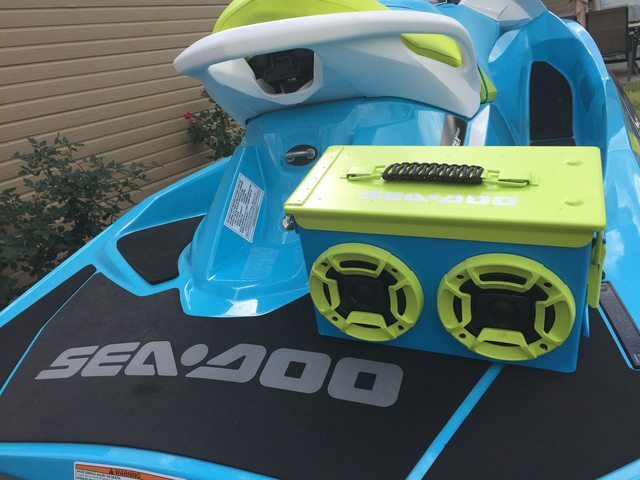 I didn't seal the speakers yet but other than that it should float. Oh, and it has Bluetooth! I respectfully disagree. 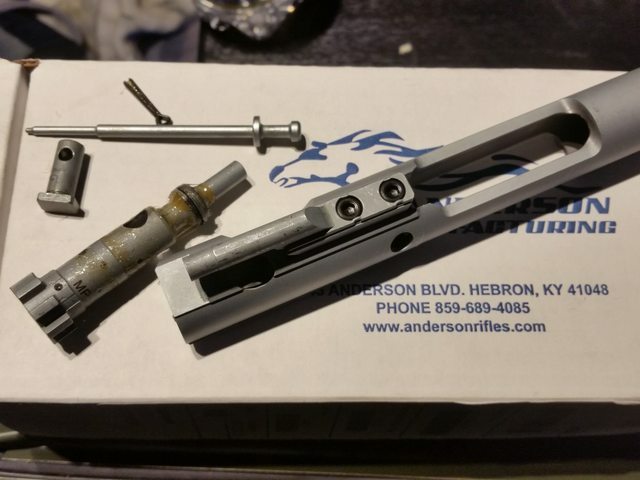 I've seen several AR owners from different forums all report success with grease (generally speaking), including some advantages that oil simply doesn't do. 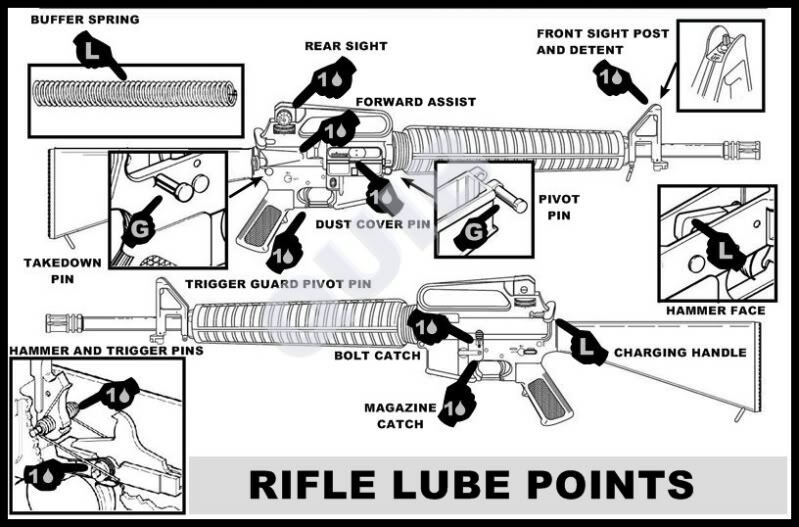 The AR doesn't seem to care what lubricant is used, so long as a type of lubricant that will cope well with the conditions is used, IE an oil that can handle heat, dirt, and doesn't run easily. I also recall reading a PDF of a military M16 manual, something saying to the effect of "Oil recommended, but grease can be used as well if that's what you have". Perhaps the most interesting use of grease I saw was a declassified military Vietnam era 'field expedience' video, where a soldier was able to pour what appeared to be a very thin grease (or horribly thick oil) onto the ammunition being fed if the rifle was experiencing issues with extraction, of course with the disclaimer of it being not a good practice to follow, but something that can save your life if you REALLY need to get that rifle working again NOW. I don't pack my guns with grease like wheel bearings, but that being said I apply it generously. If I ever see problems occur with the grease, I'll post of the issue. Ohh, there's plenty of stuff that will run under not ideal conditions, and i didn't say don't use grease, those pics i posted show where grease is required and where oil is required. Just because something *can* run a certain way, doesn't mean it's ideal, as a home owned non combat unit, i would run my stuff the recommended way where possible. Synth stuff will stand up to the heat etc way better than old school stuff. For small arms, the Air Force has us use CLP (cleans, lubricates, protects). The environment will determine how much you use. In humid climates, you want to keep everything with at least a little lubricant on it to keep from rusting. Down range (in the desert) you don't want to use too much as it tends to collect dirt and debris. But you may have to clean and lube your weapon more frequently. I use the same stuff on my own weapons. I've never used "grease". At Desert Storm we used CLP to clean our weapons and wiped them dry. We then would lightly oil them with some synthetic gear oil that we got from some Army helicopter maintenance guys. This was a weekly drill as the dust managed to find it's way in. Not sure if anyone likes S&W pistols on here, but PalmettoStateArmory.com has that S&W M&P Shield 9mm (w. thumb safety) for $249 right now. They also have the Ruger LCP in .380 for $169 and the LCP II for $199. That's a nice deal. The only S&W I'm interested in, however, is that gorgeous 686. Page processed in 0.2983 seconds (19% database + 81% PHP). 134 queries executed.